Sure, you could blow a wad of cash on a fancy hunting scope, but why would you? 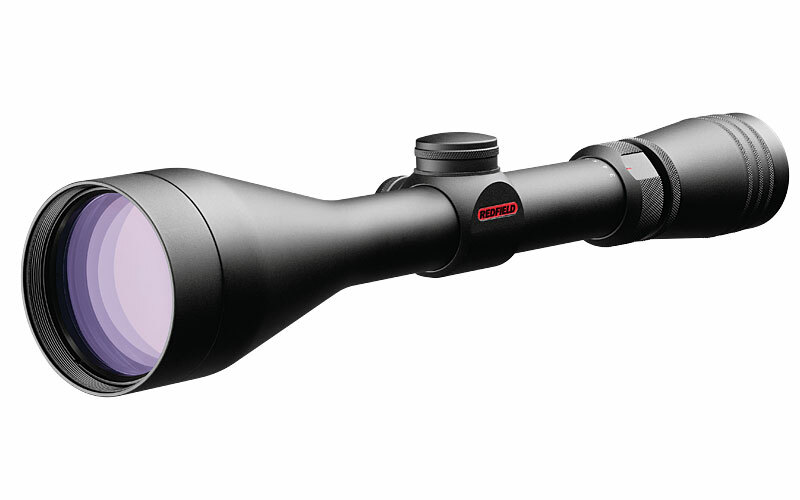 With its rock-solid build and premium optics, the Redfield® Revolution® gives hunters consistent accuracy, plain and simple. The Redfield Revolution 3-9x50mm Riflescope produces optical, mechanical, and functional superiority that no import can rival. The Illuminator Lens System combines premium lenses with cuttingedge multilayer, vapor-deposition coatings to provide unparalleled image quality, a greater usable field of view, and superior light transmission. The Redfield Revolution 3-9x50mm Waterproof Riflescope features a design that resulted in Redfield's exclusive Rapid Target Acquisition (RTA) eyepiece, meaning no more missed opportunities because you couldn't find the "sweet spot" behind the scope. Tested to levels that literally render competitive scopes useless, you can rest assured that your Redfield Revolution 3-9x50mm Tactical Scope w/ Accu-Trac 1/4 MOA is absolutely waterproof, fogproof, and shockproof.